Crawl Spaces - MGT Insulation, Inc. Call us today!651-674-6225 | Follow us! We seal in comfort, energy saving, and customer satisfaction. 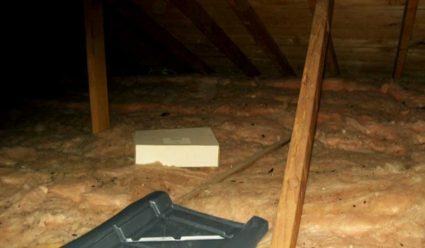 If your crawl space is uninsulated or poorly insulated, it can cause significant discomfort throughout your whole house due to air infiltration and heat and energy loss. During your FREE insulation evaluation and thermal imaging test, our technicians will recommend the best insulation products to keep your crawl space dry, energy efficient and structurally sound. We’ll also ensure that your crawl space is thoroughly sealed. The US Department of Energy recommends that crawl spaces are sealed and insulated. At MGT Insulation, we can help you choose affordable insulation options that will keep your crawl space functioning at top efficiency. When applying spray foam insulation in a conditioned crawl space that is accessible to the home, fire retardant must also be installed per building code. Our highly trained technicians use state-of-the-art equipment to identify areas of energy savings for you. An infrared camera, especially done in conjunction with a blower door test, can identify uninsulated and poorly insulated crawl spaces. Note: We also recommend the investment in an independent energy audit from your utility company. The cost is fairly low and heavily subsidized — meaning that its actual cost would be much higher without the contribution by the utility. We carefully protect your home, business, and belongings with thorough worksite preparation, including clean drop cloths, plastic, window jamb protectors, corner guards, and our state-of-the-art Air Scrubber filtration system. A 6-millimeter plastic vapor barrier is placed on the ground to reduce underground moisture from entering your crawlspace. Our team wears appropriate protection to ensure safety. We insulate by spraying our high quality closed-cell spray foam insulation or installing THERMAX™ brand insulation to the walls and rims of your crawlspace. We spray an additional fire retardant on the walls and rims of your crawlspace to ensure safety. In conditioned crawl spaces that are accessible to the house, we insulate with spray foam. We perform another blower door test to increase comfort due to reduced air leakage throughout your crawl space. Our crews perform a “Worst Case Scenario” test to ensure that your structure is safe from carbon monoxide and your family, pets, employees, or customers are protected. Our crews know how to broom clean and vacuum! To ensure that our job is complete, we walk with you through your home or business to inspect the work. During this time, we’ll answer any questions, get your stamp of approval, and have you complete our job satisfaction survey. We are committed to using the highest quality products on every job we do. Learn more here. At MGT Insulation, we offer a full suite of insulation and ventilation services to keep your home or business functioning safely and efficiently. Learn more here. Our comprehensive insulation process is customized to your specific needs. Learn more here. We make getting an energy rebate easy for you by working directly with your utility company to procure your energy rebate and automatically deduct it from your bill! Learn more here.